"A vision of our future dystopia is presented on 'Slaves of the Vast Machine", the new album from the Swedish Misanthropic Black Metal duo 'Obitus'. After their 2009 full-length "March of the Drones" and an EP in 2014 , they return with their most solid album yet! 'Slaves of the Vast Machine' conveys human aimlessness and desperation amidst total social control with some brilliant icy riffs and dissonant tones. This is harsh progressive post-Black Metal that is relentless and chaotic from start to finish with some really solid tremolo-picking melodies, inexorable atmosphere, and a complete disregard for humanity. " Une vision de notre avenir dystopique est présenté à travers ‘Slaves of the Vast Machine’, le nouvel album du duo black metal misanthropique suédois ‘Obitus’. Après leur album ‘March of the Drones’ sorti en 2009 et un EP en 2014, ils sont de retour avec leur album le plus solide à ce jour! ‘Slaves of the Vast Machine’ exprime la désorientation humaine et le désespoir d’un contrôle social absolu à travers des airs froids et des sonorités dissonantes. Il s’agit ici d’un post-black metal à la fois brut et progressif, une suite d’idées qui déboulent et s’entremêlent du début à la fin avec d’impressionnantes mélodies de tremolo picking, une atmosphère inexorable, de même qu’une indifférence complète envers l’humanité. No Clean Singing posted the album premiere of Obitus' new album "Slaves of the Vast Machine" as well as a review. 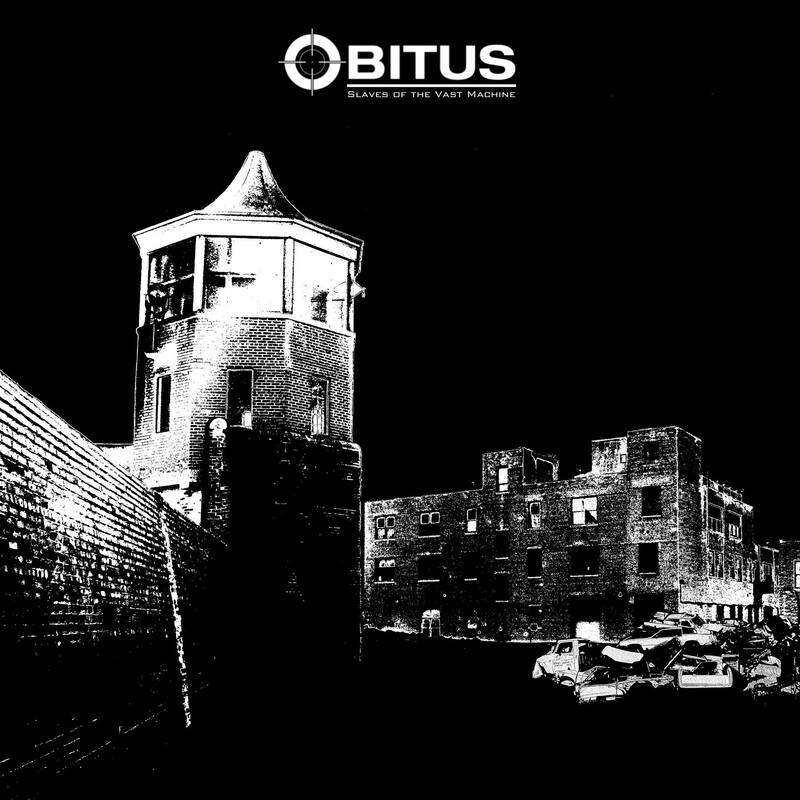 The Swedish black metal band Obitus have done something remarkable: They’ve made a 45-minute album consisting of a single song that’s on the attack relentlessly, and yet it’s a harrowing thrill-ride straight through to the end. 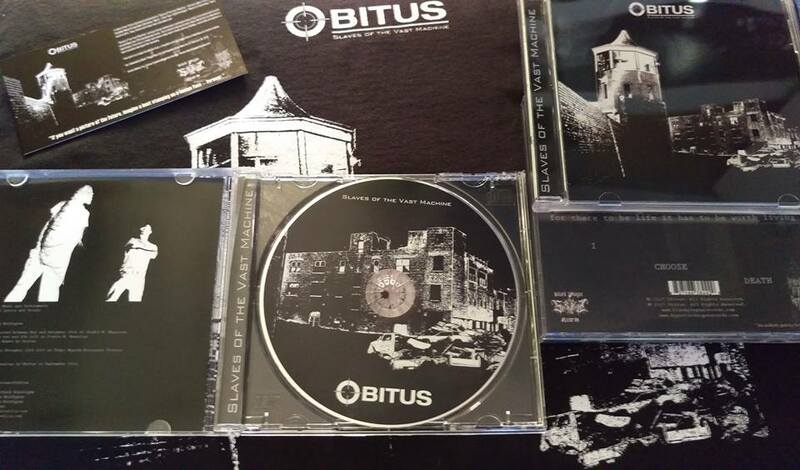 PRE-ORDERS: Obitus - Slaves of the Vast Machine CD, Merch, and Digital packages available! The new album “Slaves of the Vast Machine” from the Swedish Dystopian Black Metal duo “Obitus” is now available to pre-order! “Slaves…” is the first new full-length from Obitus since 2009’s “March of the Drones” and should please the senses of all those who like dark and relentless Black Metal without a shred of hope. JH: well since completing the recording we've been working on the remaining aspects of it, artwork, layout, and finding a label to work with. "If you want a picture of the future, imagine a boot stamping on a human face — forever." A vision of our future dystopia is presented on 'Slaves of the Vast Machine", the new album from the Swedish Misanthropic Black Metal duo 'Obitus'. After their 2009 full-length "March of the Drones" and an EP in 2014 , they return with their most solid album yet!